Weddings can turn amazing with a venue that caters to all your needs and requirements, and Ocean Blue Party Lawn, Indirapurram, Delhi, does exactly that. With a decade of experience in the hospitality sector, this location has a lush green lawn sprawling across acres with exquisite decor preparations appropriate for each of your wedding ceremonies. You can stay rest assured of the quality of service provided from their end and pick this venue for your big day at Ocean Blue, Indirapurram. A perfect blend of ultimate sophistication and elegance, Ocean Blue Party Lawn is a great wedding lawn in Indirapuram for beautiful weddings. Have the perfect stage and mandap setting nestled in the lap of the nature. The lush green lawns make you feel one with the nature. 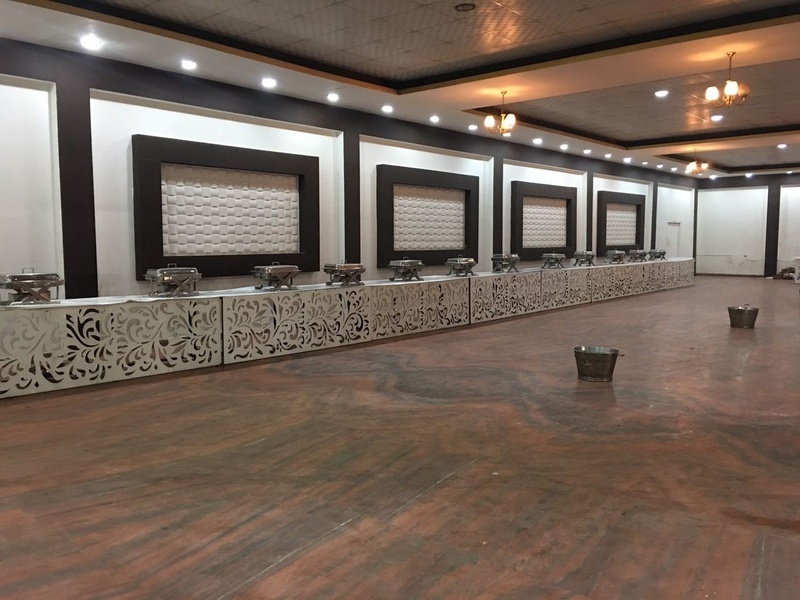 This banquet hall in Indirapuram also provides two complementary changing rooms, which are Air-Conditioned as well. Vegetarian and Non-Vegetarian food is served at this venue. Packages starts at Rs 1,500 per plate for vegetarian menu and at Rs 1,700 for non-veg menu.